Zanzibar is made up of two large islands, Zanzibar and Pemba, and several smaller ones, just off the coast of Tanzania’s mainland. The main Zanzibar island, locally known as Unguja, is pretty small, at just 85 kilometers long and 39 kilometers wide! From fascinating cultural landmarks to relaxing beaches, Zanzibar offers plenty of sights for all interests. Despite its capital city status, Stone Town is very relaxing. Its seaside promenade, overlooking the Indian Ocean, is full of great bars and restaurants where you can watch the stunning sunset. The town center, meanwhile, hosts quirky narrow streets with gorgeous, intricate doorways. 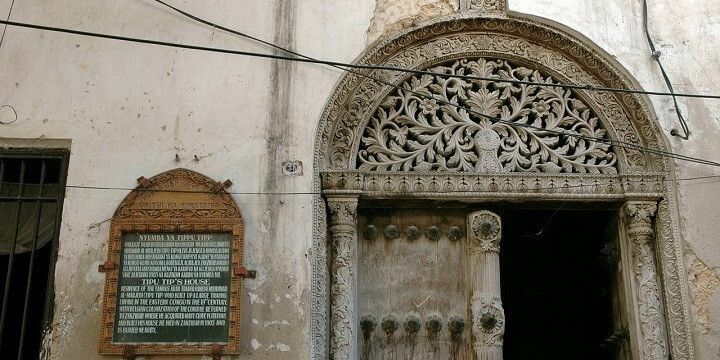 In fact, one of the most popular things to do in Stone Town is a doorway tour to learn how to spot the difference between Arabic and Indian designs! Stone Town is full of narrow streets with gorgeous, intricate doorways. If you want to try some of the best Zanzibar food, look no further than the Forodhani Gardens Food Market. Here, you can find stalls selling everything from fresh fish to kebabs, as well as the famous Zanzibar pizza. This thin, pancake-type dough is filled with anything from banana and chocolate to vegetables and meat. Once you’ve refueled, head to the 17th-century Old Fort, originally built to protect Zanzibar from Portuguese invasion. It’s now a great area for shopping, dining, and finding local guides to book a Prison Island tour. Prison Island is home to incredible giant tortoises. 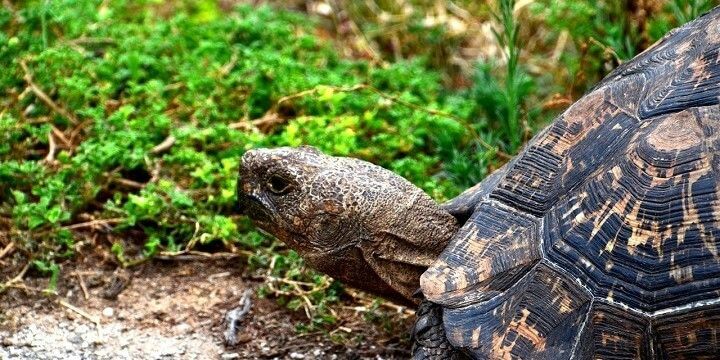 Trips to the island normally last around three hours and give you the opportunity to see the creepy old colonial hospital and incredible giant tortoises. While the island’s eastern and western beaches are heavily affected by the tide, the northern beaches offer fantastic swimming opportunities all day long. 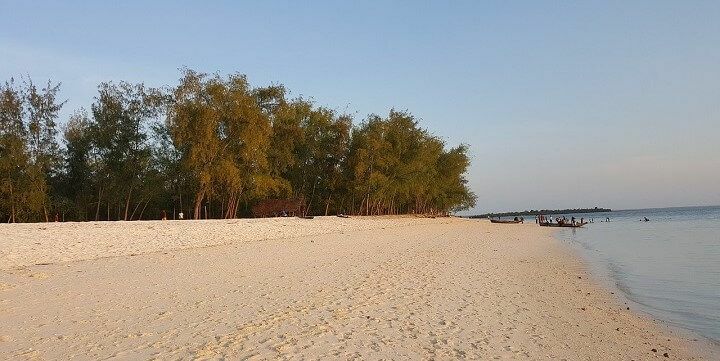 Nungwi Beach, for example, is located on the northern-most point of the island, with gorgeous white sands, bright blue waters, and plenty of amenities for travelers. If you’re after a more peaceful escape, head to the nearby Kendwa Beach, which is within walking distance from Nungwi but is much less crowded. Kendwa Beach is much less crowded. Elsewhere on Zanzibar island, you’ll find gorgeous beaches like Paje, in the Southeast. With plenty of watersports, scuba diving opportunities, restaurants, and beach bars, Paje can get extremely busy. The nearby Bwejuu Beach is equally as beautiful, with colorful coral reefs, but much quieter than its neighbor. When planning your trip to Zanzibar, be sure to include a visit to the Jozani Chwanka Bay National Park, the only national park left on the island! Despite its size (just 50 square kilometers) the park is still home to a range of rare animals, including the red Colobus monkey. 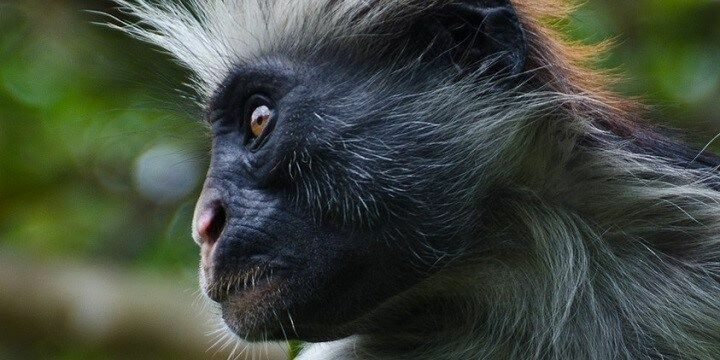 Colobus monkeys live in the Jozani Chwanka Bay National Park. If you wish to walk through the park, you’ll need an official guide. The main trail will take you about an hour to explore. Along the way, try to spot some of the 40 bird species and 50 types of butterfly that call the park home, as well as the Mama Mtondoo, a mahogany tree thought to be over 200 years old. Be sure to escape the main island during your Zanzibar vacation. Some of the nearby islands offer the best scuba diving and snorkeling around! Chumbe, for example, is just a few kilometers from Zanzibar, and is home to 200 species of coral and 450 types of fish just off its coast. The nearby Mafia, meanwhile, is a great place to spot whale sharks and humpback whales. 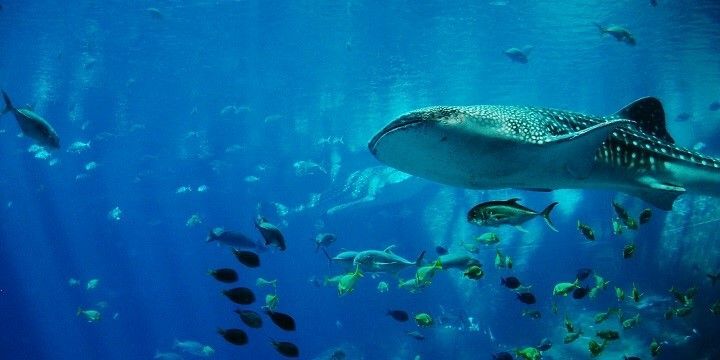 Mafia is a great place to spot whale sharks and humpback whales. If you wish to explore the larger island of Pemba, you’ll need to travel 40 kilometers north of the main island. Pemba’s waters consist of incredible marine wildlife, from barracuda and tuna fish to sharks and whales. The island also boasts nearly 200 bird species, many of which can be found in the northeastern Ngezi Forest Reserve. Culture lovers, meanwhile, should check out the 18th-century Omani Fort, which is now a fascinating museum, offering great insights into Pemba’s past. If NextStop24 helped you to choose your next travel destination, we'd be very grateful if you’d search for your accommodation and things to do in Zanzibar through these links. They're affiliate links, which means that we will receive a small commission for every booking made through them. There are no extra costs for you; you'll simply be helping to keep NextStop24 running. Thanks! No amount of research can prepare you for the exotic magic of Zanzibar. It’s playful , romantic , simple , safe and seductive. From the spice scented alley ways of Stone Town to beaches that truly are tropical paradise. I spent the entire time wide eyed and feeling happy.